This is a hardback book written by former footballer with Chesterfield, Rotherham, Scunthorpe, Barnsley and Sheffield United to name some. The book is ‘Made in Sheffield’. 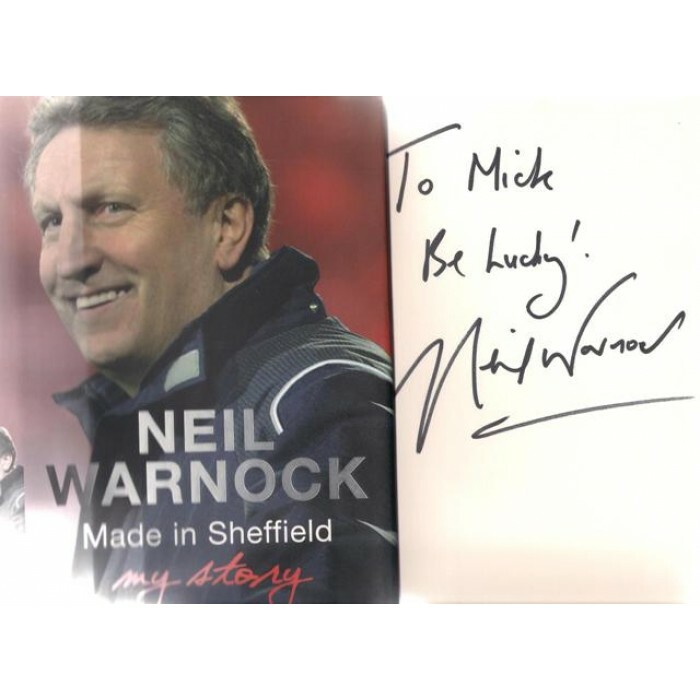 Neil Warnock has also managed Nottsd County, Huddersfield, Plymouth Argyle and is (at the time of writing) the manager of Queens Park Rangers (QPR) FC. 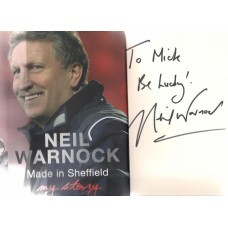 This book was published in 2007 and is hand signed to ‘Mick be lucky’ by Neil Warnock in black marker pen on inside page. The book itself is in very good condition, with all pages present and no creases. The dust jacket is also in fine condition with no worn patches or tears.